Hello friends! 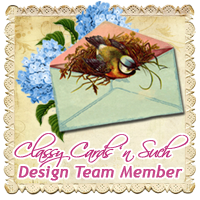 Today I am sharing a card that I designed for the Classy Cards N Such Store. 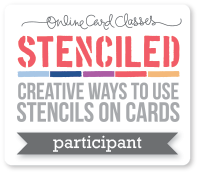 It was inspired by our challenge this week which is to use a stencil on your card. I sure hope you will play along with us. I started my card with a pre-made Kraft card base from Recollections. I cut a piece of white cardstock that was 1/4 inch smaller on all sides than the base. Using a low tack tape I secured the Memory Box Garden Fronds stencil to the white cardstock. Using the Dreamweaver's Paste Spreader, I scooped out some Translucent Embossing Paste and spread it over the stencil. Using the edge of the spreader, I smoothed the paste down and removed any excess and put it back into the jar. Now, it's time for the fun to begin! I removed all the tape and slowly lifted up the stencil. I saw a lovely white paste imprint of the Garden Fronds. Next, using some chunky glitter I had in my stash from Stampin' Up!®, I covered the white paste with glitter. Once I was certain I had all the paste covered, I turned the cardstock over and tapped off the excess. Oh how pretty the reveal was! Once I was certain the glitter and paste were set, I distressed the edges of the white cardstock and then inked them withVersaMagic chalk ink. In the bottom right corner, I stamped a little sentiment. One that is perfect to brighten anyone's day. Thanks for stopping by today! 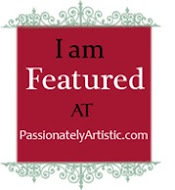 Be sure to join the challenge at Classy Cards N Such Blog. 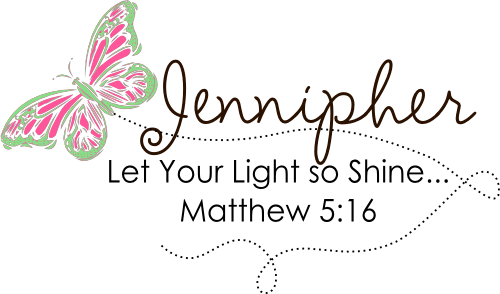 You can save 10% off your entire purchase at Classy Cards N Such by using my discount code: JENNIPHER-10. If you would like to get prepared for future Classy Cards N Such challenges please check out the challenge calendar. This is a new challenge that just started this year and each week is a wonderful product prize! This is very pretty. Love the simple but elegant look! Thank you for joining us at ABC Challenge! Good luck and please pay with us again! Simple yet stunning! Thank you for joining us at The Crafting Cafe. Good Luck! Hi, I am thinking you have a great new blog redo. It is so nice and fresh looking. I love pink and green together. 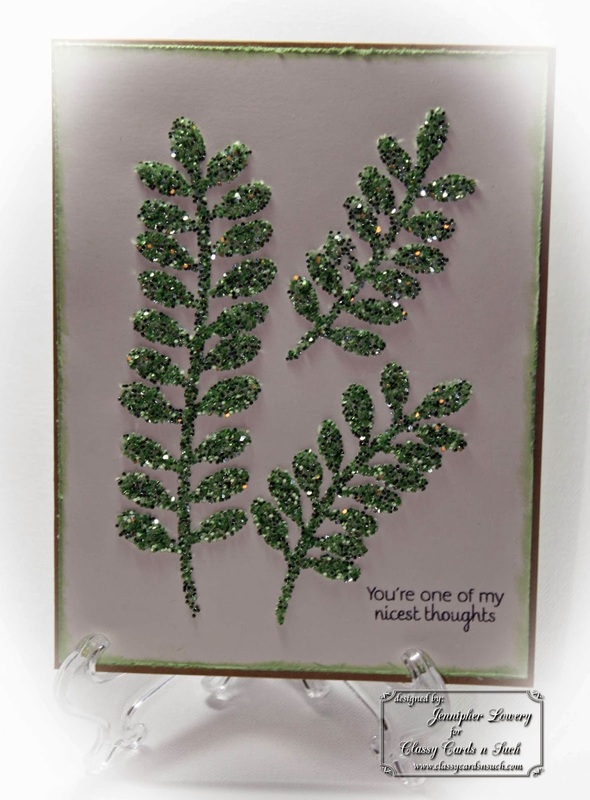 Your card is beautiful, love the image and the glitter is gorgeous on those ferns. Hope your feeling well, hugs. This is so pretty!! I love the new technique!! 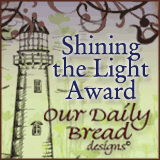 Thanks for joining us at Dreamtime Designs Craft Challenge. Very pretty! Thanks for joining us at Card and Scrap! This is just Stunning, Jennipher! I love the dark green sparkle on the white background. So simple, yet so elegant. I haven't tried the paste and glitter technique yet. One more to add to my list. Thanks for stopping by my blog and leaving your lovely comment. I hope all is well with you and your mom. You are in my prayers always. So very beautiful with all that chunky glitter.